Recently it’s been in the news that Pro-Football Cheerleaders are adding men to the mix! Wasn’t this me I’m High School, the only male on the Pep Squad? Wasn’t easy for me to be-it was mandatory to be on the squad to quality for Cheerleader try-outs. Principle at time called to his office and tried to drill into me “Men don’t do that”, I told my Mom and next day I again was called into his office where my Mom was with the Principal who had obviously been crying, he through he’d face and watery eyes stammered an apology for his behavior the day before and Said was welcome to be on Pep-Squad and try out for Cheerleader! Had not my Mom been in my corner, gone up to School and “Ripped-him-a-new-one” like he tried to do to me the day before-it wouldn’t ever happened! Thanks Mom! Seems things come back around-look at Jesse here tear it up-he needs Poms though! One battle at a time! Pics are me on Gladewater High School Pep Squad first and only male at this time, me in my Doll Days as a Houston Oilers Cheerleader, whole squad, mugging with vintage crepe paper Poms in my School colors-Orange & Black “ GO BEARS”! And one of me in a vintage School Jacket from friend & Mannequin Customer, and – Pic of my Guy Jesse Hernandez holding his own with these Beautiful Women on the Saints Squad! Yep, since seeing our Cub Cheerleaders in 8th grade(1973)I wanted to be part of this Sorrority and I’m glad Jesse with the Saints Squad and the couple others with LA Rams are allowed to participate in an activity for decades dominated by Ladies! Times are-a-changing! News, opinions, commentary, history and a little creative writing from a proud African-American transwoman about the world around her. Until they moved to Nashville and became the Tennessee Traitors, I was a huge Houston Oilers fan. When they started their cheerleading squad called the Derrick Dolls, one of my college classmates Thomasina was on it for a few years. And yes, it bothered me during the 80’s that I was in the wrong body to even have a shot at trying out for it and I was jealous of Thomasina for a minute because she was on that squad. So it jolted me when I heard about my fellow Texan Philip Porter’s detransition story and it subsequently coming out that during his 32 years as Phoebe he had been an NFL cheerleader in his trans feminine life. As he told his story on HuffPost Live recently, and seeing this picture of Phoebe as a trans Derrick Doll brought those memories back on how I felt back in my wandering in the gender wilderness 80’s. When I was watching those NFL home games being played at the Astrodome along with much of the city of Houston, I was struggling with my own gender issues. It occurred to me that during the 1992 and 1993 season that Phoebe would occasionally pop on our TV sets, be part of two Derrick Dolls group photos, and take part in the various events the Dolls performed at or graced as hostesses around the city I was taking major steps to get my own transition started. I respect Philip’s decision to detransition and hope he’s happy. It’s his life, his journey and I wish him the best. But it also gives me an opportunity to talk about the contentious subject in Trans World of detransition. We transpeeps go through hell and back just to be recognized as the people we are now, and that journey to be our true selves is a satisfying one to 95% who aren’t even thinking about detransition. That percentage shoots up to 98% if you include the people who have genital surgery. At the time I was doing my transition in 1994, one of the WPATH requirements in place was I had to do the ‘Real Life Test’ in order to get approval from my gender therapist to have genital surgery. That RLT was in place so that people had an opportunity to back out if they were having second thoughts or had difficulty adjusting to life on the other side of the gender fence before the surgeon’s scalpel came into play. But instead of the focus on trans issues being about the people who are happily navigating their post transition lives or our challenges, the media focus at times becomes fixated on the very few people in our community who transition and decide to go back as Don Ennis,Ria Cooper and Philip Porter did. And sometimes it is the bizarre reasons these detransitioning peeps give for why they are doing so that also sets us off in Trans World. The oversaturation coverage of the instances of people detransisitioning leads to cis people asking us the annoying ‘When are you going to go back?’ question. When I got asked by a female student that question during an HCC-Southeast Trans 101 discussion I was conducting last year, my response to that student was why would I go back to the miserable existence and life I had before transition? There are a lot of reasons why people do so and it really should be a personal issue, but as the old saying goes, the personal can become the political. That’s especially true when you have a marginalized group fighting for human rights coverage and at the same time be understood by the general public. As they do so everything that happens to that marginalized group good, bad or indifferent is framed in that political context, especially by its enemies. It’s why detransition is such a contentious topic in the transgender community. We get prickly about it not only because of our own personal psychic and sweat equity investments in perfecting our gender presentations and gender identities to the world, but by the awareness that far too often some of the people who do detransition become the trans equivalent of ‘Ex Gays’. They are seized on in conservative circles as a reason why trans human rights coverage shouldn’t be granted to the rest of us who are very happy in the trans skins we’re in. Funny, it was after I attended a 1993 TD Jakes revival in Los Angeles and prayerful contemplation my faith led me to write the letter to the Rosenberg Clinic asking for the first available appointment that started my transition. 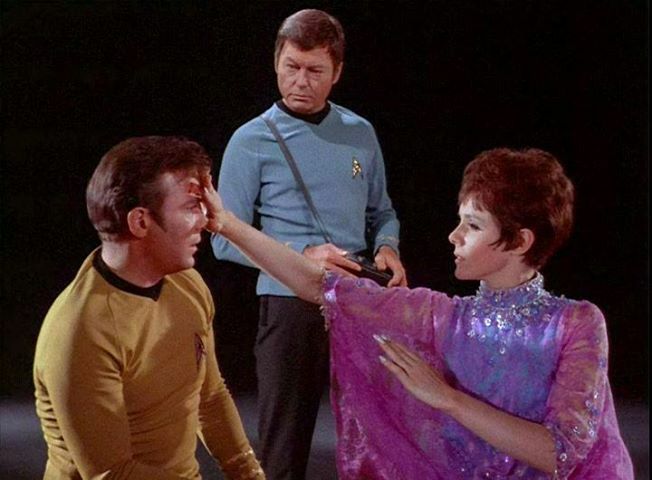 BTW peeps, Pat Robertson has said twice what we already know, that transsexuality isn’t a sin. But that doesn’t stop the Religious Reich from not only trying to push that loud and wrong message, they also use these stories of detransitioned ‘Ex Trans’ folks as a way to pimp their religious conversion therapies. They are the same ones that didn’t work for gay folks, but they are now trying to retool them to grab the cash of parents desperate enough to try them to ‘fix’ their trans children. Whether it was the loathsome Jerry Leach in Kentucky or the recent story thatSabrina Samone told on her blog about P-FOX trumpeting the story of her ‘Ex-trans’ friend Darrell, the trans community gives these stories the hostile side eye when we hear them. Another reason for the trans pissivity when the issue of detransistion comes up besides the right wing and other trans haters exploitation of it is our sadness about the tragic story of Mike Penner, the LA Times sportswriter who famously transitioned to become Christine Daniels, transitioned back to Mike and committed suicide. So yes, Trans World is concerned on many levels when we hear about people detransistioning, but our biggest concerns are always going to be focused on the side of the well being of the person going through it. But if you use it as a way to attack the trans community in general, it’s on like Donkey Kong. 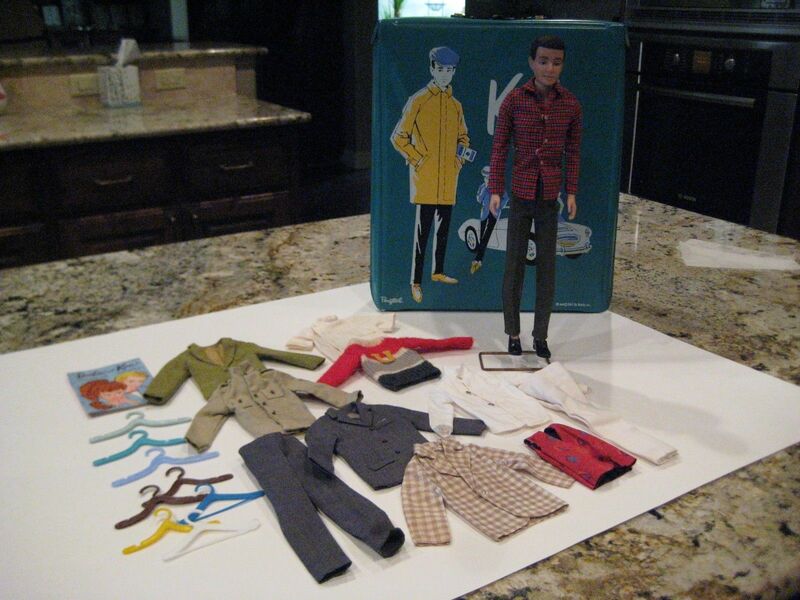 Unlike Ken I’m a “living” doll but we both share great GQ wardrobes! Hi friends and family! I wrote previously in a post about my “less than stellar not to mention fashionable man’s wardrobe or my idea at the time of a GQ wardrobe, loose jeans, t-shirts and hoodies…WELL since I’ve managed in a short time to amass a decent male wardrobe through friend’s donations, Macy’s 6th floor clearance center and just great people who want me to look my best, I have three suits, numerous dress and casual shirts, two vests, numerous bow-ties, five pair of shoes and four great coats not quiet “What-not-to-wear” with Stacy and Clinton helping me shop since it was cancelled before my segment came to be but a great start! I feel like a giant living breathing Ken doll with a very up to the moment fashionable wardrobe as Ruth Handler insisted on(Google Ruth Handler)for ken complete with buttons, snaps and zippers! I feel i need a “Philip” carrying case to house me and my new wardrobe! 2014 is off to a great EPIC start as I intended! Pics to follow! Wishing all a Blessed weekend, thanks for reading! Hi Tam, Sorry for the late reply. I was on numerous Estrogen including Premarin(the ONLY Estrogen at the time in the late 70′s),Estrodial, and a few others some injections. for a period of about 30 years before I discontinued Estrogen therapy approximately now, two years ago. 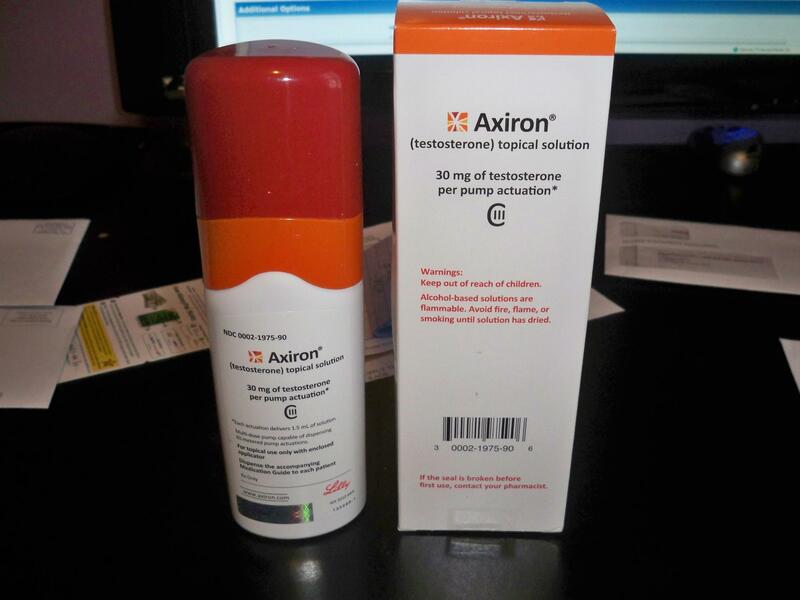 I had my Testosterone levels checked where for a mane my age were middle to low and began on Axiron. I’m am on end of month three with T-Replacement. I am writing a post about this later today but yes spontaneous, rock-hard, hard to ignore and some nights-painful spontaneous erections I can also ejaculate and lab testing has found my sperm fertile buy estrogen abuse has rendered them non-swimming though sperm extraction would be necessary, this is a nice surprise and very exciting! About 6 months after stopping estrogen, I could easily get erections. I was warned, my body is kicked into puberty again and it’s true I’ve found, I’m so moody I can barely keep it to myself, I’m seeing “RED(feeling of rage)” faster than I’ve ever seen it but managing so far to hold it in, but also the good feeling as well as every emotion are magnified by about 1,000% these days. Physically, I am stronger and can tell my heart and lungs are working better, I’m eating like a horse, more about that in the upcoming post. I do suggest you see your Physician for labs before starting any Hormone type replacement therapy, this ain’t nothing’ to just “mess around” with! Thanks for reading and posting Tam, I’m trying to come up with some type of support forum just for us De-Transitionors. More to come as time goes on, thanks for reading!